Wow. That sounded really big. So I asked Father to teach me what that meant. To begin, He had me write a list of all the labels I had agreed with about myself that came from the world. Anything and everything. Every category I had ever been put into. “Overweight” was one of the biggies, and “single parent”, and “low income”. Then Father had me expand the list by writing down all the limitations and lies that were attached to each and every one of those labels. I have to say that it was almost frightening to see how they were so interconnected and woven together. Using just the previous three examples, the lies would say that because I am a single parent I will also be low income. And low income people are often lazy and undisciplined, so of course I am overweight. And because I am low income and overweight, I will continue to be a single parent. Lies all of them! But, oh my! Round and round and round she goes, where she stops nobody knows! That was just three examples, and believe me there were a lot more than three things on that list. I found that there were several recurring themes amongst the many different labels. Those were the things I believed most deeply about who I was because they came from so many different sources. It was important for me to see that tangled web of lies and limitations. It helped me to unearth some beliefs that I didn’t even know I held. But Father is so gracious that He didn’t just leave me there. He has begun slowly taking me through that list and shining the light of His Truth on every single one of those labels. Slowly, because it is taking me some time to come out of agreement with some of the lies. I’m discovering that lies come with lots of barbed strings and they attach themselves in the most unlikely places. And as we go, He is replacing those labels from the world with Truth about who I am from His Word. I asked Father this morning why there were so many things on that list. He said, “The enemy of your soul has come to kill, to steal, and to destroy. What better way to destroy you than to steal your birthright and inheritance? And what better way to steal a birthright and inheritance than to convince the heir that they are someone else?” Wow. That kind of puts things in perspective, doesn’t it? By going through this often emotional, sometimes painful process with Father, I am beginning to see the me that He created. The me that is Beloved of God. The me without limitations. I’m finding that when I am rid of the world’s limitations it’s much easier to catch a vision of my destiny and purpose. Where there is Truth, there is freedom! 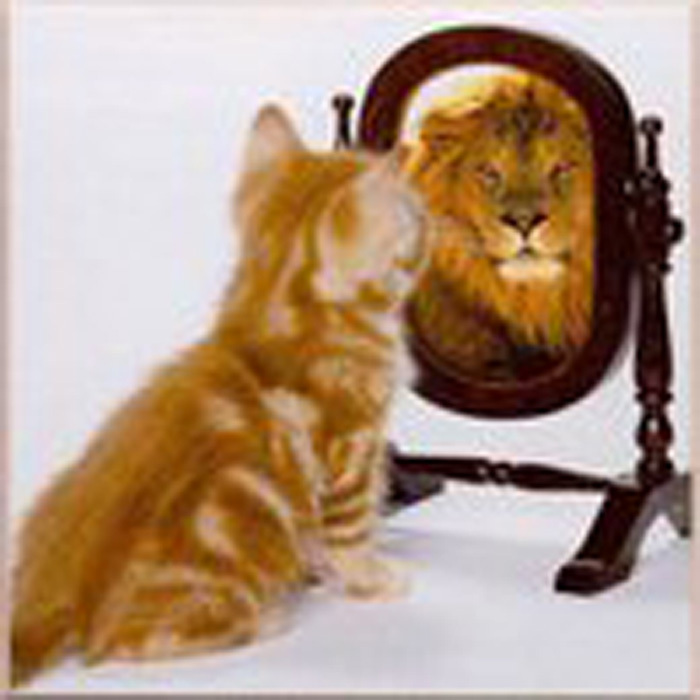 So, Beloved, my question for you today is this: Who do you see when you look in the mirror?